The next time your kids say, "we're so bored," use our guide for the top fun things to do with kids in Maryland. With so many amusement parks, aquariums, play places and other fun MD attractions, your kids won't be bored for long! Find the best amusement parks that Maryland has to offer. 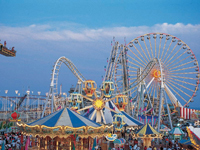 Right here you will find a complete list of the best MD amusement parks. See which Maryland amusement park you would like to visit next! 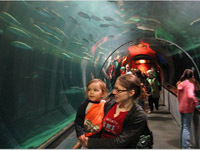 Check out some of the aquariums in Maryland. 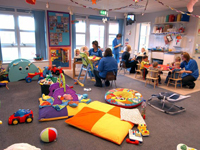 If you are looking for something fun to do with your kids MD aquariums are a great choice. This is a complete guide to the best aquariums in MD. 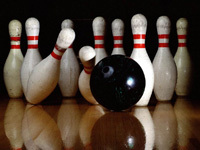 These bowling alleys in Maryland provide entertainment for people of all ages. Have a fun night out enjoying a favorite past time. These MD bowling alleys won't disappoint. Bring your kids to one of these candy shops in Maryland. We have a complete guide to the best MD candy shops right here. 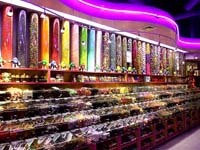 Make sure you check out some of these Maryland candy shops! When you have errands to run, it can get a little difficult when you have your kids with you. A great solution to this is all of the great Maryland day care centers. Learn all about them right here. 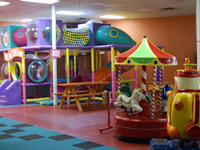 If you are in the Maryland area and you have kids, check out these fun play places. These are great ways to keep your kids active and having fun. Check out these rainy day activities in MD. 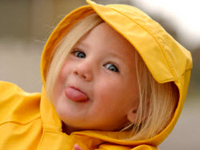 If you need something to do when the weather is bad, read about these MD rainy day activities! Whether you are shopping for this year's hottest toy or old-fashioned classics, Maryland's toy stores have what you're looking for. 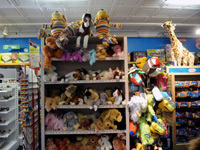 See our guide to the best toy stores in MD. 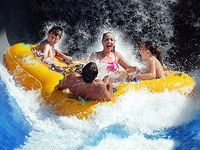 These water parks in MD are so much fun you will never want to leave. Learn all about the different options you have by browsing through this simple guide. A complete guide to the best Maryland zoos is right here. 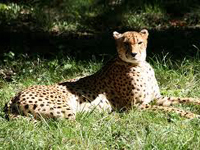 Find a list of the best MD zoos below.